At CIIF, we will be operating an actual smart production line to show what a new era of automation looks like, in which our high-performance robots and our mobile robot system HelMo produce automatic tool changing systems in direct collaboration with humans. 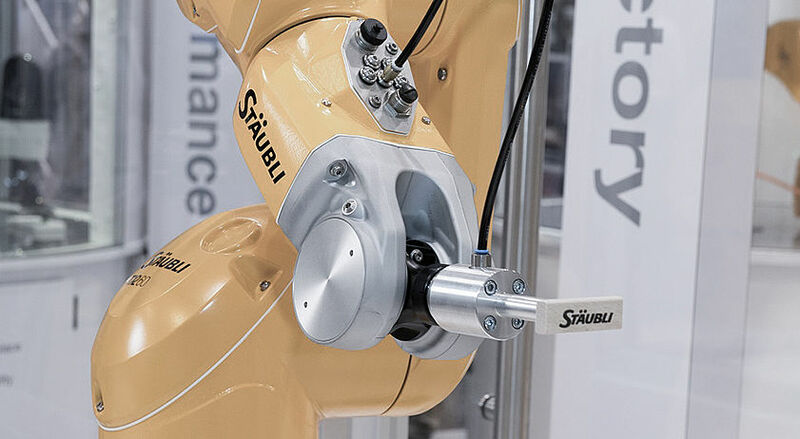 It proves that, with Stäubli, Industry 4.0 production scenarios are already achievable today. Mr. Vogt, when you speak of a new era in automation, doesn’t that perhaps overstate the case? 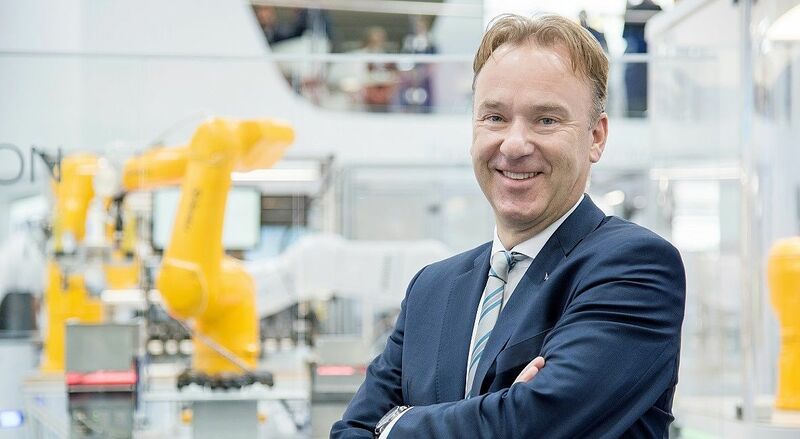 Vogt: I am convinced that, thanks to Industry 4.0 and digital networking, industrial automation is entering a new era. Anyone looking at our demo smart production in Munich will quickly realize that the issue here is not so much evolution but revolution. Here, we are showing pioneering technologies in a concrete situation – technologies that have been the subject of much debate and that offer new possibilities and considerable advantages. Vogt: We are demonstrating across-the-board digital networking via OPC UA, in which all stations are in communication with each other; with our HelMo mobile robot system, we are showing what can be done in intralogistics and assembly; we are highlighting the advantages of man-robot-collaboration (MRC) and thereby proving how, in an Industry 4.0 setting, parts can be economically assembled in batch sizes of one. All this goes to demonstrate that Stäubli is the partner of choice when it comes to digital production. Stäubli TX2 robots work both for, and with, people. They are the fastest and safest industrial robots to bring you a more secured payback.